501(c)(3) organization raises funds for the community. Master sculptors creating art in the sand. SandFest is on the beach between mile markers 9 and 13. The north entrance to SandFest is on the beach at Sandcastle Drive (~marker 8). 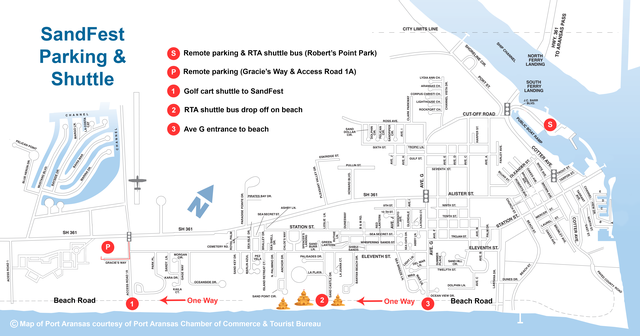 The south entrance is near Beach Access Road 1A (~marker 18).